The 2019 season will run from March 1st until Sept 30th for Channel Cats and April 1st until Sept 30th for Flatheads. The contest is open to residents of the following states. MN, WI, IA, SD and ND. Only fish from these states will qualify. 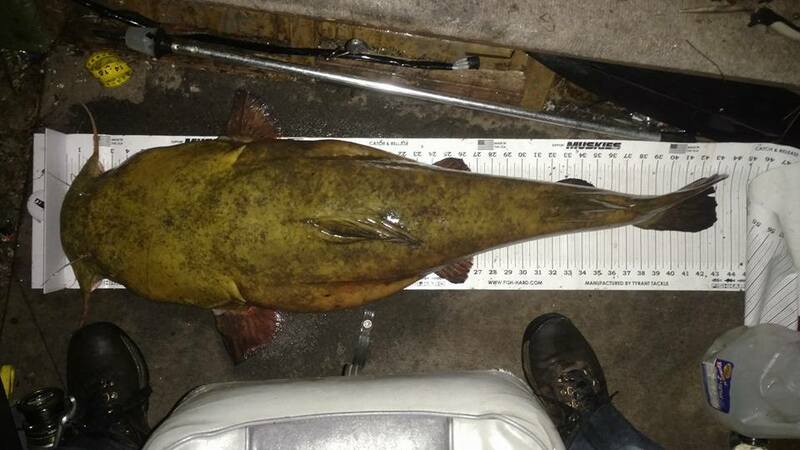 There will be two divisions, Flathead and Channel. Contestants. To enter — simply submit a fish on the submission page. There is a minimum qualifying length for each species. 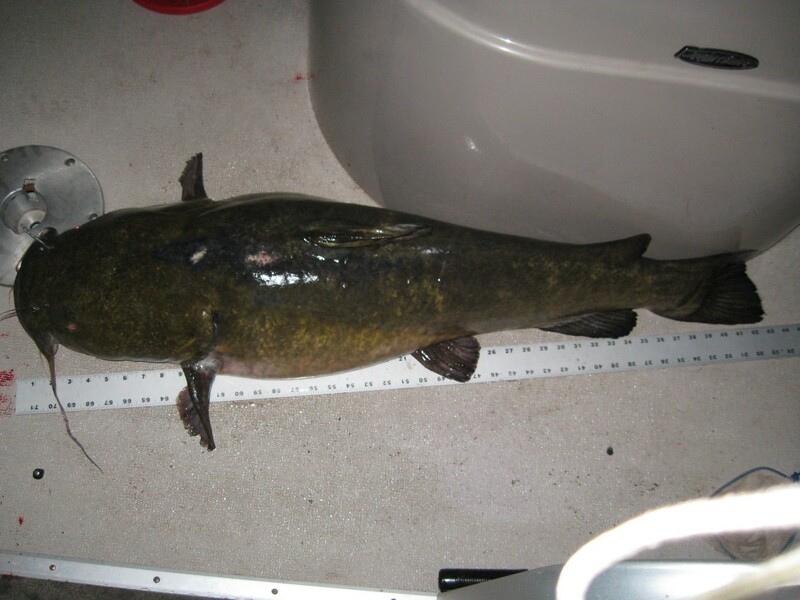 Minimum qualifying length for Channel cat is 26″ and Flathead cat is 32″, smaller fish will not be accepted. THERE IS NO SIGNUP , SIMPLY SUBMIT A FISH AND YOU ARE AUTOMATICALLY ENTERED. In addition to the main contest, there will also be a Youth section. This will be open to boys and girls 16yrs and younger. There will be 3 individual “King of the Kitties. 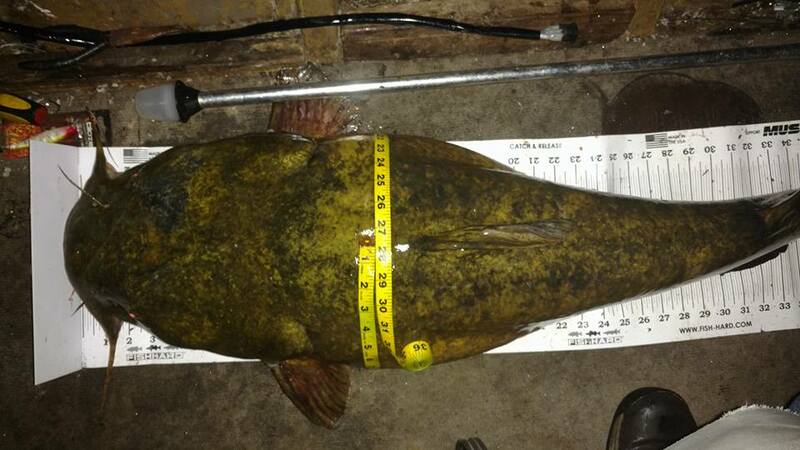 Channel Cats and Flatheads will be combined for this contest. There will be no minimum length rules for Youth submissions. Points will be awarded based upon length + girth of each fish. Each participant may enter as many fish as they want, but only the 3 largest fish will be added up for a total score. At the end of the year, the top 5 scores in each division will be crowned Kings of the Cats. There will be a Channel Cat division, a Flathead division and also an overall winner with Channels and Flats added together. Ties will be decided by the largest of the 3 fish, then the second largest, then third. There is a minimum qualifying length for each species. 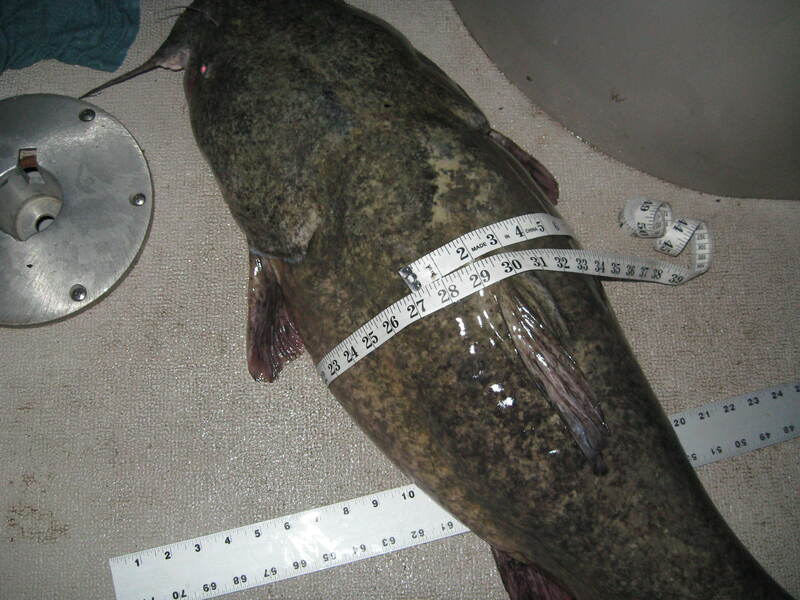 Qualifying length for Channel cat is 26″ and Flathead cat is 32″ Please do not submit fish that are smaller than the minimum. Participants will be required to take a picture of each fish to be entered and submit the picture and measurements via this submission form. In the picture there shall be a control item present and in clear view. This year an official logo will represent the control item. The logo MUST be in clear view in the picture. As the administrator, I reserve the right to allow or reject any questionable photos or fish. All entries must be submitted within 72 hrs of catching the fish. All photos of fish shall be taken in a natural environment and the fish must appear in healthy condition. (Stringer or rope pics will be disqualified). This contest is intended to promote catch and release, and while it is not required, it is HIGHLY recommended. ALL FISH MUST BE CAUGHT ON ROD AND REEL. No setlines, trotlines, ditty poles, snagging or noodling. Also no paylakes or private ponds. This is a rod and reel contest on public waters only. Measurements will be taken with a ruler/tape. One measurement for length and one for girth. Length is to be measured with closed mouth and pinched tail. Girth is to be measured in the largest diameter (usually behind the head). Round your measurements to the nearest 1/2 inch. LENGTH AND GIRTH PICTURES ARE REQUIRED ON ALL FISH. The picture must include the entire length of the fish laying on the ruler. A picture showing only a portion of the fish will be disqualified. For doing this use a standard tape measure, bump board, yard stick or those stick on boat rulers or equivalent. Please do not use a homemade ruler. A rigid device is required for measuring the length and a bump type board with a hard stop for the nose to stop against is recommended. Use a flexible type tape for the girth. *Important Note*: There was some concern in the past about pictures revealing specific spots or locations. There are 2 options. You can blur out the background using a Photo Editor, or contact me and let me know that you don’t want your picture to appear in the gallery.